Remember the good old times of DVDs and VCRs? That was the time when getting the latest release was a must. This led to huge piles of DVDs and CDs. Though we love our stashes, their proper storage becomes a concern sometimes. Although most people keep their collections stashed in old cardboard boxes we’re more of a show-and-tell kind. However, unlike other DVD storage ideas, we have tried to include options for people with different preferences. 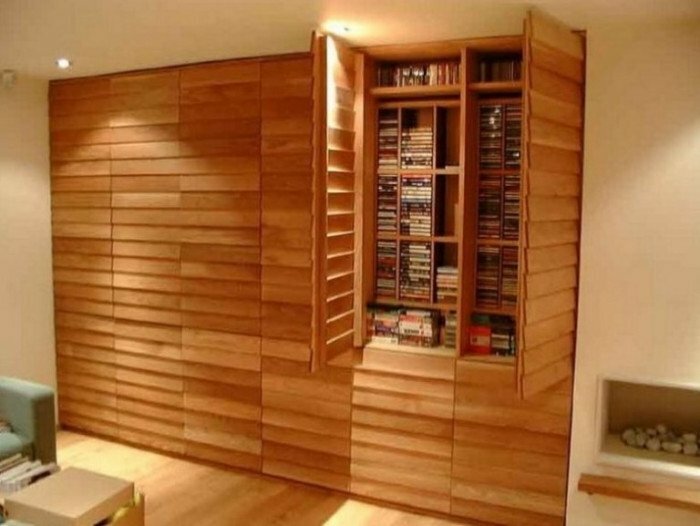 This means we have included ideas for those who love to boast off their collection as well as hidden DVD storage ideas. Every movie geek has a huge stash of DVDs and CDs lying around in their homes. While everyone has their own style of organising their collection, almost everyone wants to keep them in proper condition. 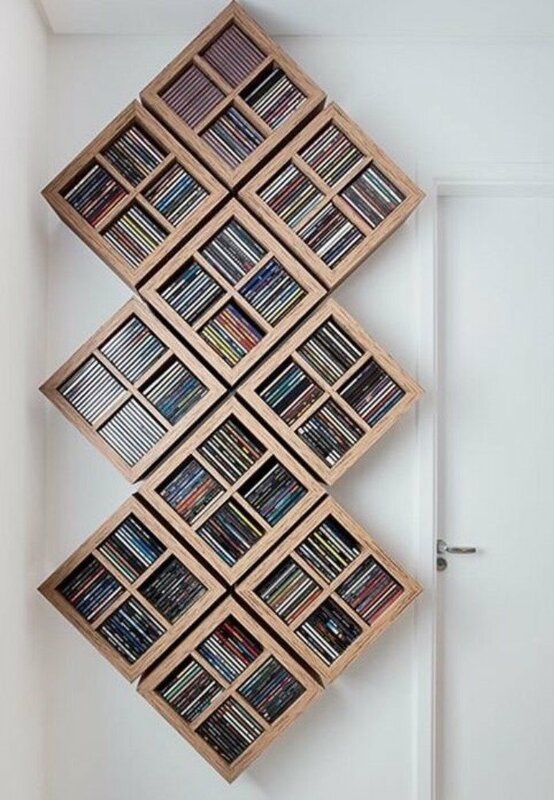 In order to do that, we have come up with 30+ creative CD and DVD storage ideas. So, check out our extensive list of ideas for DVD hoarders. Bring out your collections of the classics and display them as a treat to your eyes. You can display your favourite ones only or the entire collection, the choice is yours. 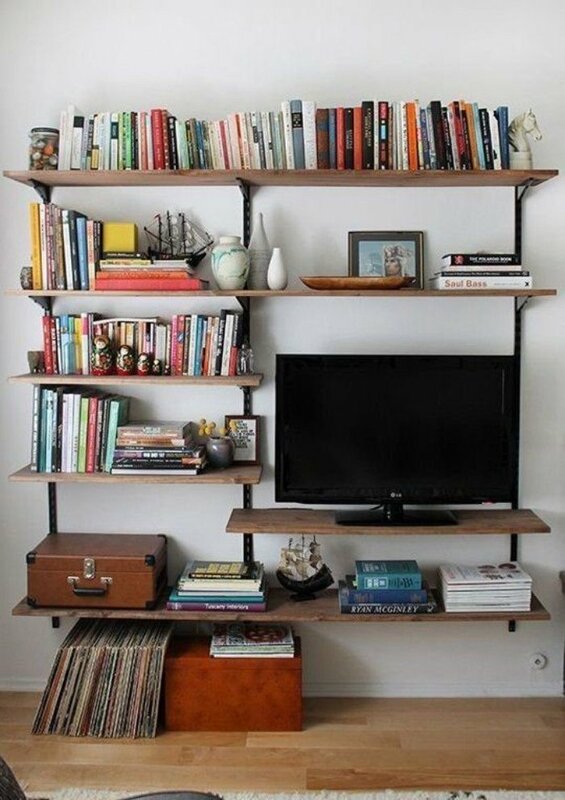 Utilise an old bookcase or a DVD rack for the purpose. 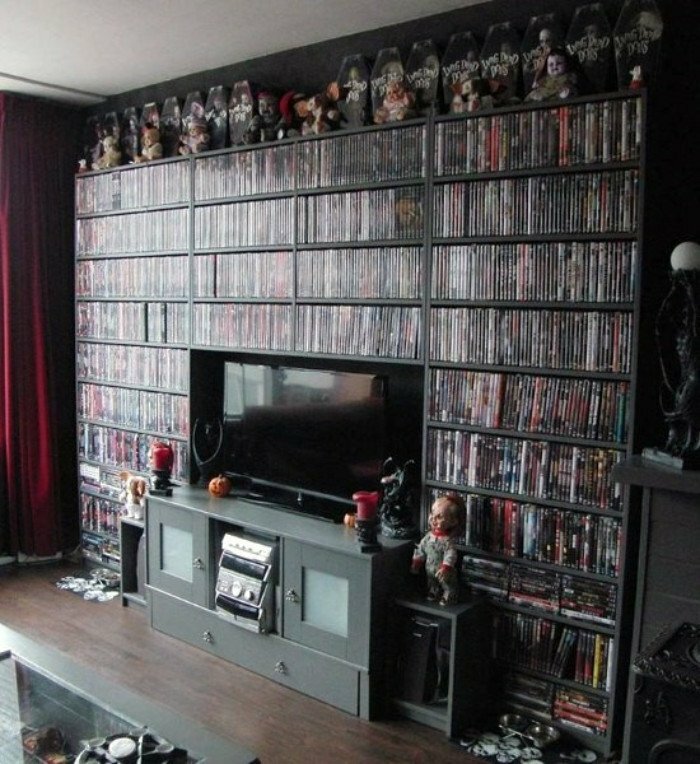 This way your collection would be right in front of your eyes whenever you feel like watching one with friends/family. Let’s see what DVD storage ideas we have for the ones who like to watch and tell. 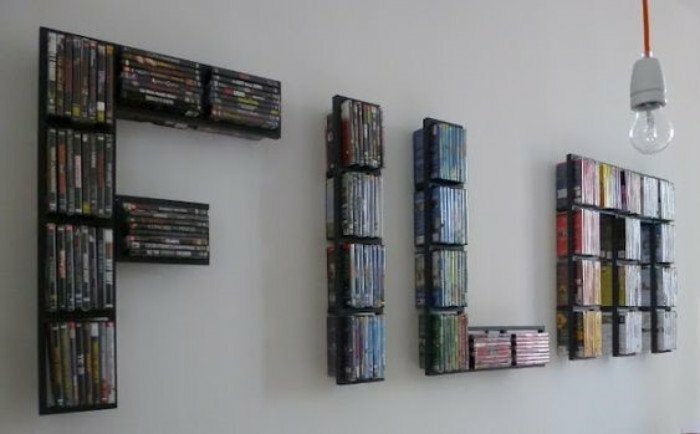 One of the best living room storage ideas is to display your DVD collection on a wall. Usually, this type of display is created with the help of different racks and shelves. The choice of shape, colour, material and size depends on you. Use the wall that is your living room’s focal point to stress the pride that you take in your collection. Or you can use the back wall of the sofa, too. Moreover, you can also use a corner that would otherwise remain empty because nothing fits there. 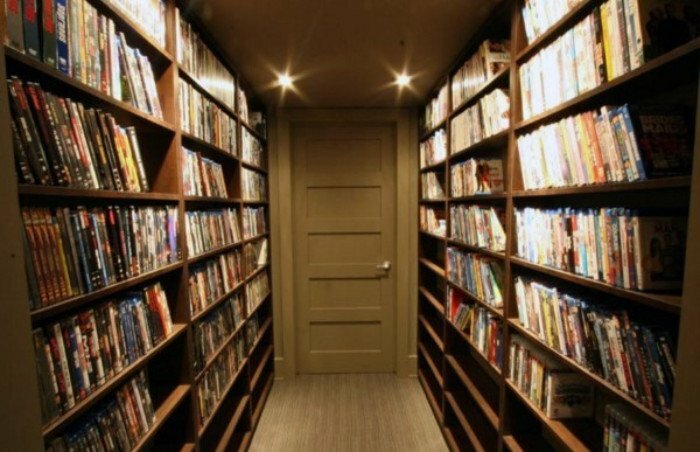 If you have a home theatre then one of the best DVD storage ideas is to dedicate an entire wall to DVDs. For those obsessed with buying DVDs of all their favourite shows having a huge load of DVDs isn’t a big deal. They can surely create their own wall of films without any difficulty. 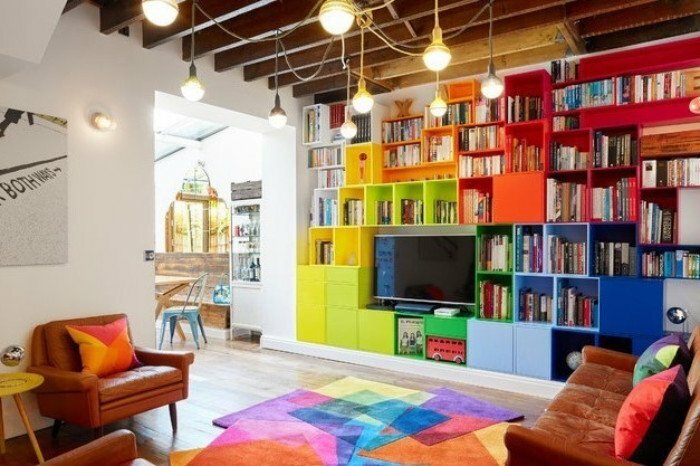 Swap your living room storage cabinets with colourful stackable cubes. Get plastic or wooden cubes in your favourite shapes and sizes. After you’ve done it get some vibrant paints and start painting. Once you’re done, start lining the cubes with your favourite DVDs. 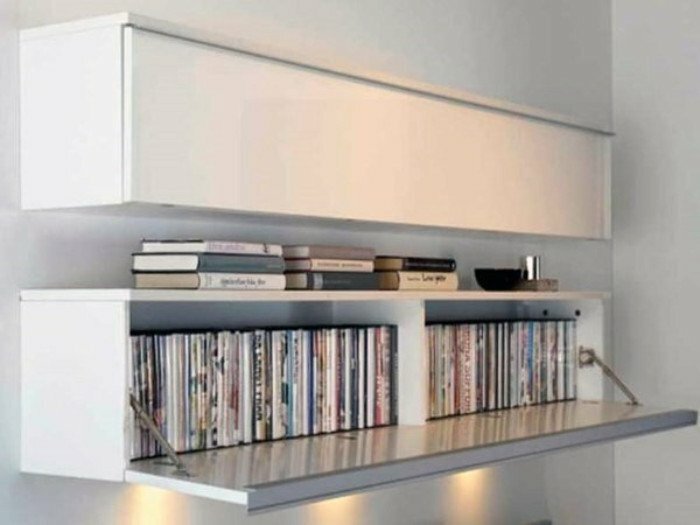 To satisfy the inner minimalist, we can always go with simple white shelves for DVD storage. 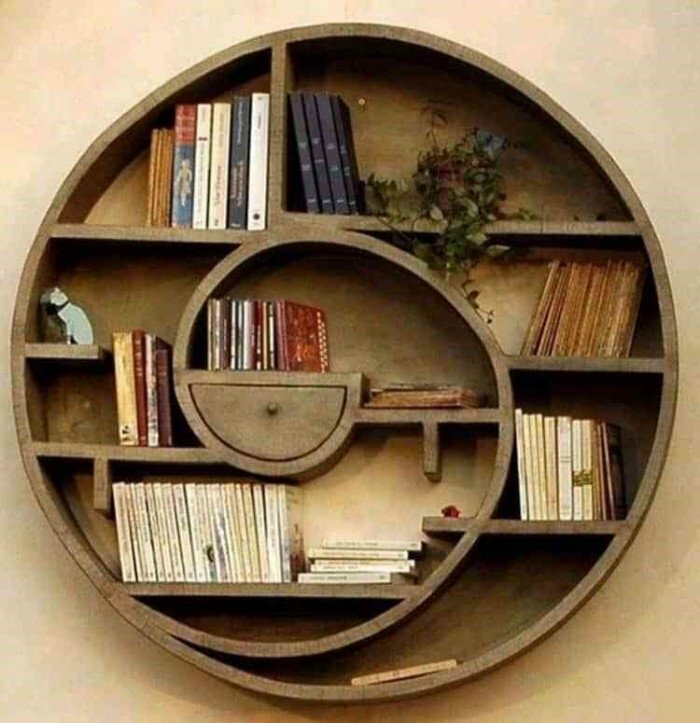 These shelves would look striking over the television or a study desk. Choose matching shapes or slightly different ones. But whatever you do, make sure you keep it sleek and smooth. Never underestimate the power of basic DVD storage ideas. For instance, a Corona DVD Unit with 1 Drawer & 4 Shelves might seem basic but once it’s filled with classics and pop movies it’ll look amazing. Furthermore, A basic yet classic looking DVD storage unit looks quite aesthetic and keeps things simple. An interesting way of getting a customised DVD storage rack is to DIY one that suits you the most. We have rounded up some pretty fun and easy DIYs for you. 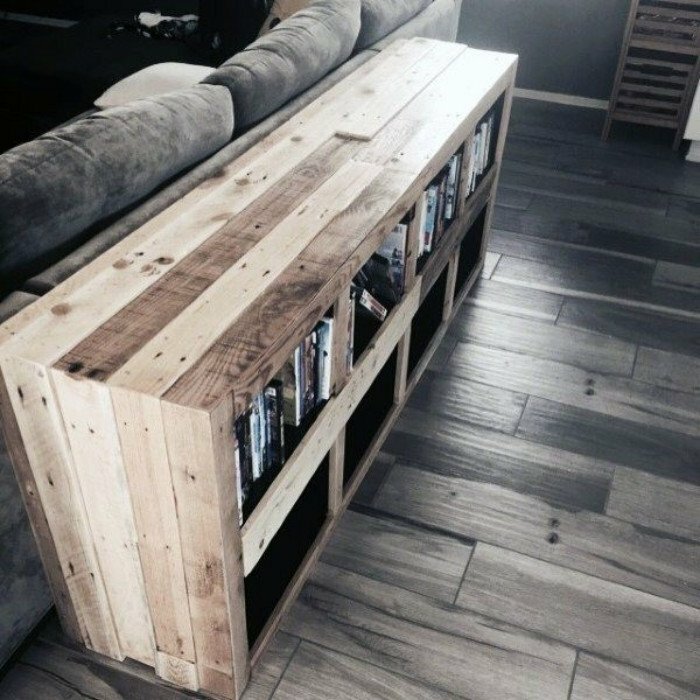 One of the best DVD storage ideas for the laziness champions is to DIY a console table that lies behind a sofa. Use spare wooden planks that may be lying in your garage or get some from a charity shop. Besides that, all you need is some nails or wood glue and a hammer to fix it. Maximize your living room storage by utilising the space under a wooden bench. 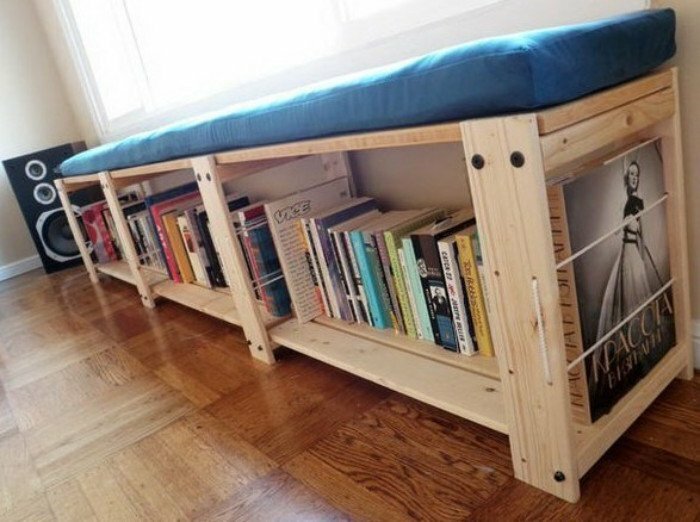 Many DVD storage ideas feature a customised bench where the bottom part is used to keep books or DVDs. If you happen to have a corner within your living room or lounge or even the study you can install a custom-built DVD storage shelf. 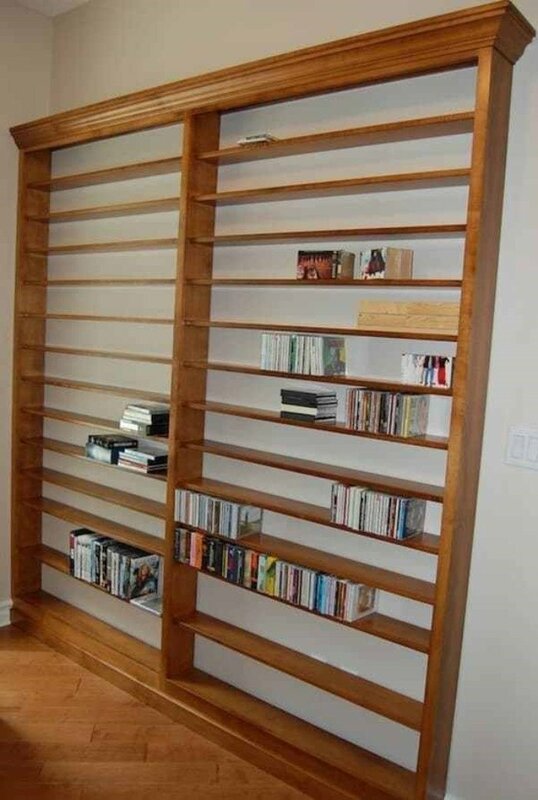 Basically, the best thing about a custom-built shelf is that you will have your desired measurements. So, you will have a shelf that is neither too big nor too small for the DVDs. 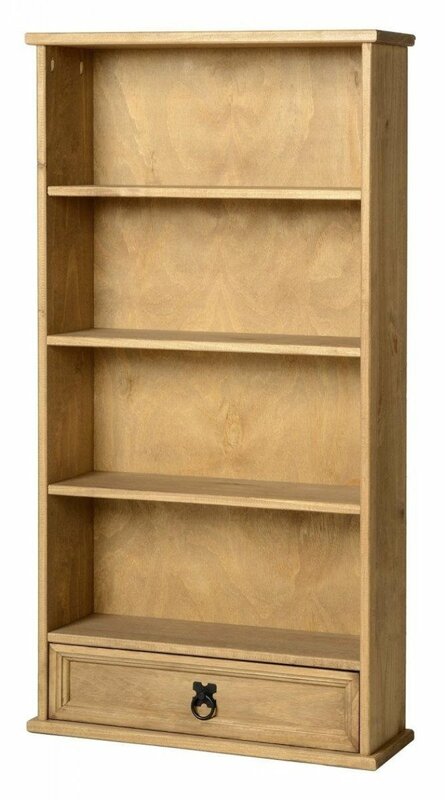 Its width is much less than a regular bookcase or a DVD rack which makes it suitable for smaller spaces, too. Display your love for the good old DVDs by DIYing one of the best DVD storage ideas. 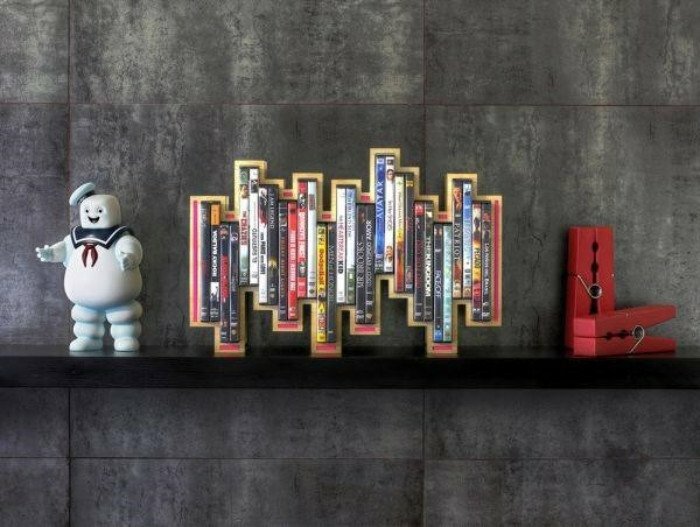 You can craft a DVD storage unit in the shape of alphabets D, V and D. Show the world your DVD collection in a creative and fun way. All your guests will appreciate your craftsmanship, too, if you create it yourself. Another creative and easy way to showcase your DVDs and CDs is by installing a simple wall storage unit. However, to give it a fun touch you can shape it in form of alphabets and spell out F.I.L.M. Interesting, right? 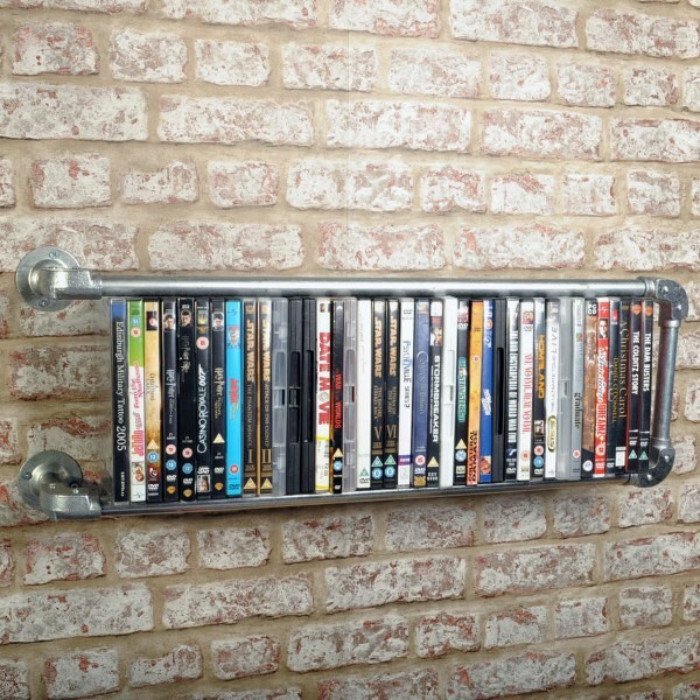 Use water pipes to create a DVD storage unit. This type of storage unit will look extremely stunning if you have an industrial style home. Space the pipes in such a way that a DVD can easily fit inside. Install the pipes on a wall that has bricks as it will create a nicer backdrop and also support the weight of pipes. If your DVD collection is a big one and you still haven’t shifted to Netflix and chill, you might wanna customize a TV unit. It is also one of the amazing DVD storage ideas because this way you’ll have your DVDs lying right next to the TV. So, on a Saturday night when the family plans to watch a movie suddenly, you don’t have to spend hours rummaging through boxes in the attic to find the right one. If you cannot execute a DIY project right now, you can always go for the readymade solutions. 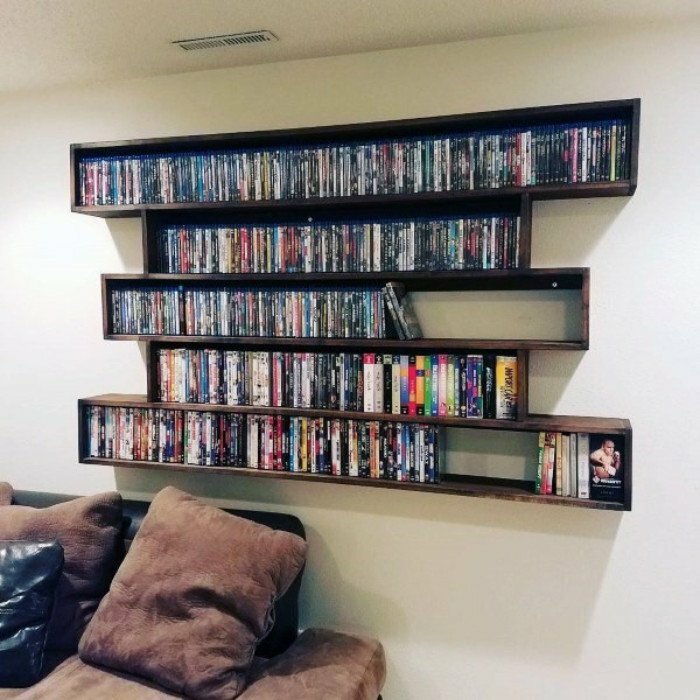 There are several online stores that sell unique DVD storage units. Go with one of the iconic DVD storage ideas by choosing a DVD storage unit that is unique and stands out. For instance, this geometrically shaped DVD unit looks quite a star on that shelf. If neatness is your forte then go with simple yet stylish squares that can be hung on walls. Get as many as you want. Hang them vertically, horizontally, or in any shape you want. Say goodbye to your boring living room storage cabinets and install the circle of style. Give your living room an artistic touch with this DVD storage unit and your DVDs a unique place to lie in. 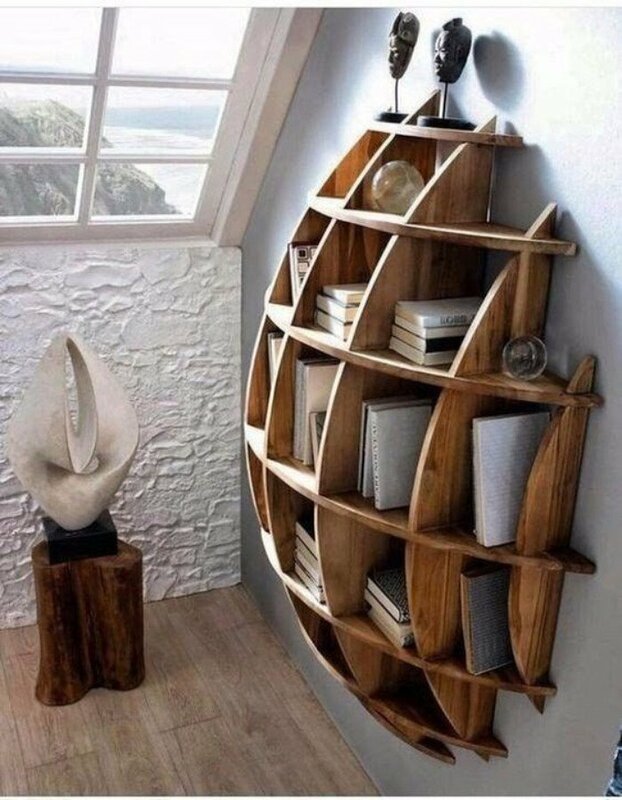 Let your imagination fly and try to find a DVD storage unit that will leave all other DVD storage ideas behind. 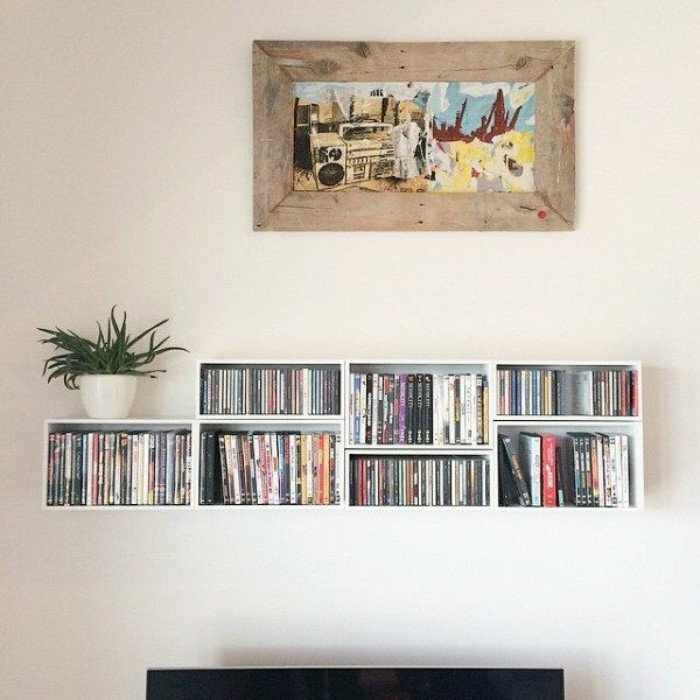 A unique style of a DVD shelf will always inspire your guests and they will remember it for a long time. Create a rustic ambience in your living room with this Corona DVD Rack. 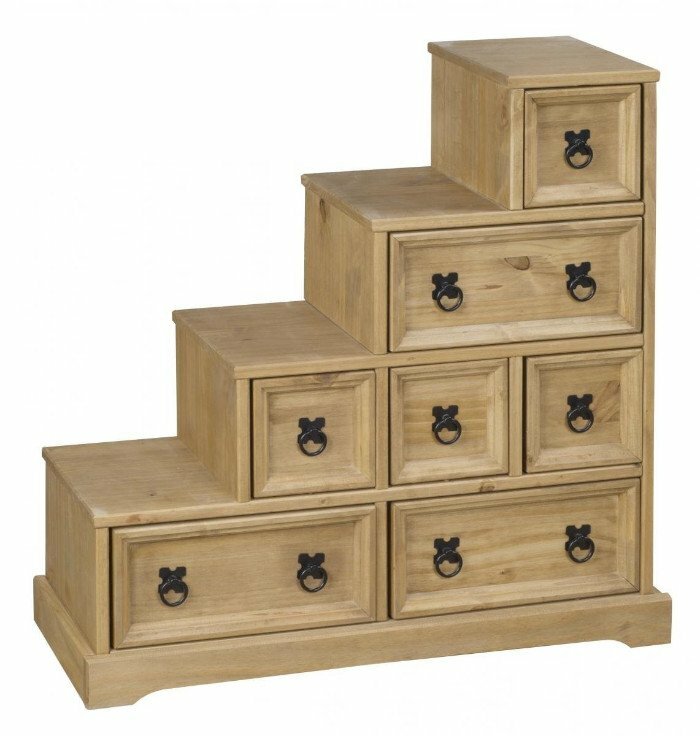 It is built from solid Pine, waxed with a distressed finish which makes it a stunning antique. With plenty of space inside for all your favourite movies and small size, it can be easily transported and fit anywhere in your home. If displaying your DVDs and CDs in living room storage cabinets isn’t your thing, you can always execute hidden DVD storage ideas. Let’s see what we have here. 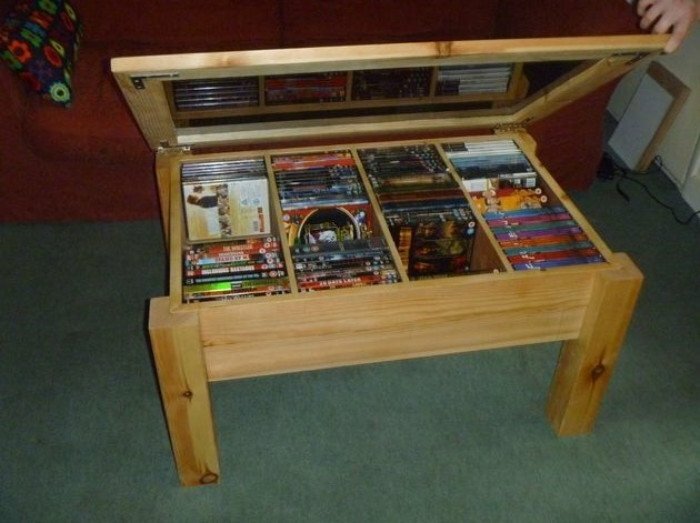 If your DVD collection is worn out and rough and cannot be stored at a focal point try a more laid back design. 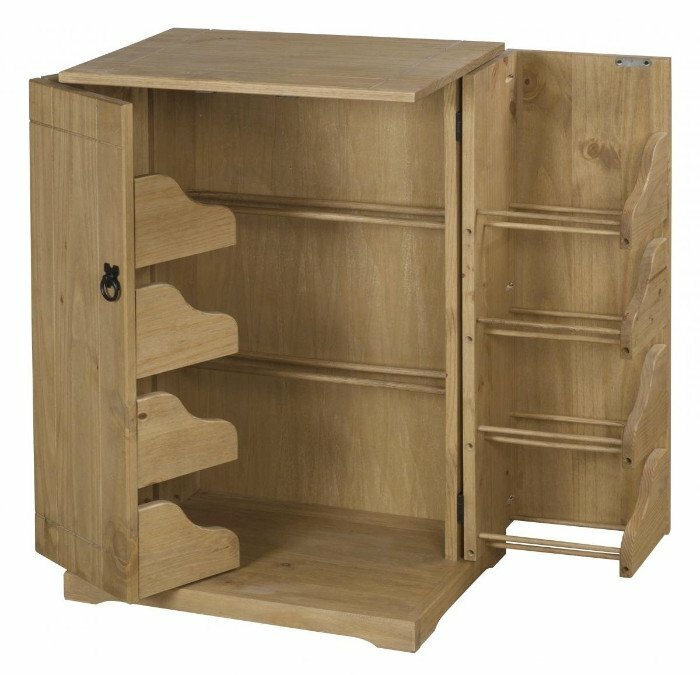 You can have a large cupboard designed in such a way that its doors can be pulled out. Moreover, inside the doors, you can have smaller sections made where the DVDs will reside. One of the best DVD storage ideas for a minimalist is this sleek and smooth floating shelf with lids. This can keep all those classics in place and out of sight without messing your décor. Our Corona DVD Staircase can be an amazing addition to the living room. This uniquely shaped DVD staircase is perfect for any movie lover. With several drawers; three rectangular and four square ones, there is plenty of space for all your favourite movies. Moreover, all the movies can stay hidden in plain sight. If you already have a TV unit with drawers in it, use them. Sometimes we tend to overlook the easiest and most feasible option just because it’s lying in front of us. You can store your entire DVD collection in the lower drawer and they’ll stay there unnoticed by your guests. 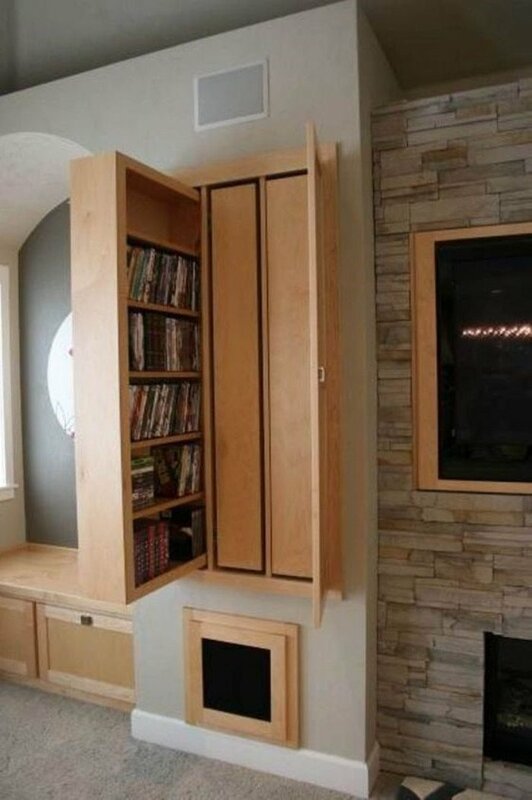 One of the best, hidden DVD storage ideas is to hide ‘em inside a wall. Have built-in wall storage and hide it with the help of a large wall art frame that also serves as a door. Keep your DVDs hidden there and no one will ever know. 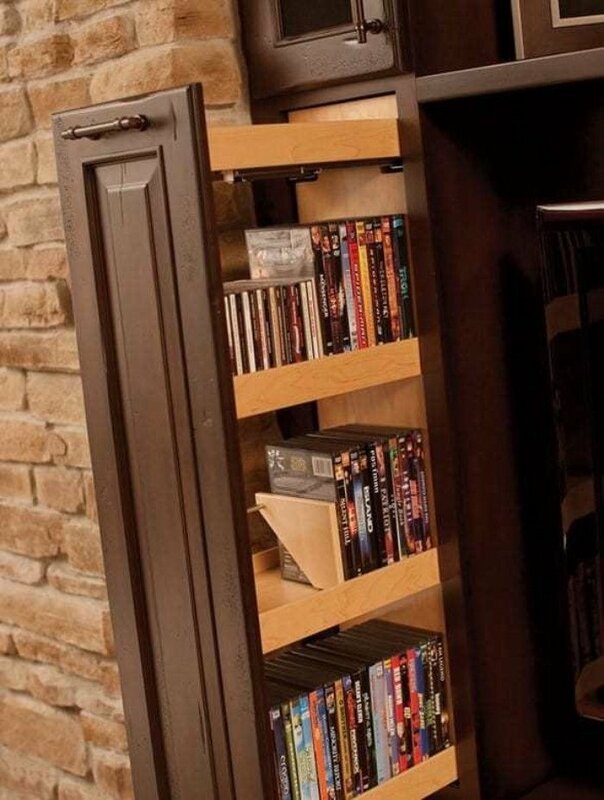 No other hidden DVD storage ideas can top this one. Think about camouflage. Try covering an entire wall with artwork or woodwork that can hide your DVDs in the sections inside. This will keep everything as hidden as it can be. There are coffee tables available in the market with lids that can be pulled up. Or drawers that can be pulled out. So, try one of those to keep your DVD stash hidden. Another one of the DVD storage ideas is to dedicate a section of your home specifically to the DVD collection. Bring in all your old armoires and bookcases to fill the place and then start storing the DVDs. 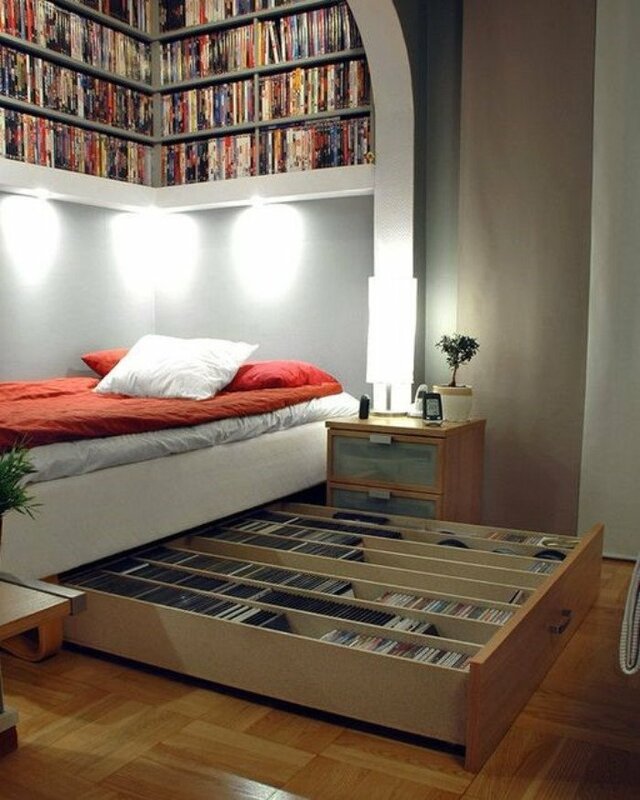 Use the space under your bed and kick all other hidden DVD storage ideas out of the door. For a movie maniac who loves watching movies while they’re in bed, this idea is perfect. Another way to store your DVDs is to follow the idea in the photo above. It’s simple yet elegant and doesn’t take much space. You can get such racks installed in a corner that otherwise would remain unused. Your DVDs will remain hidden but still in reach. In every other home, the space under the stairs remains empty and purposeless. 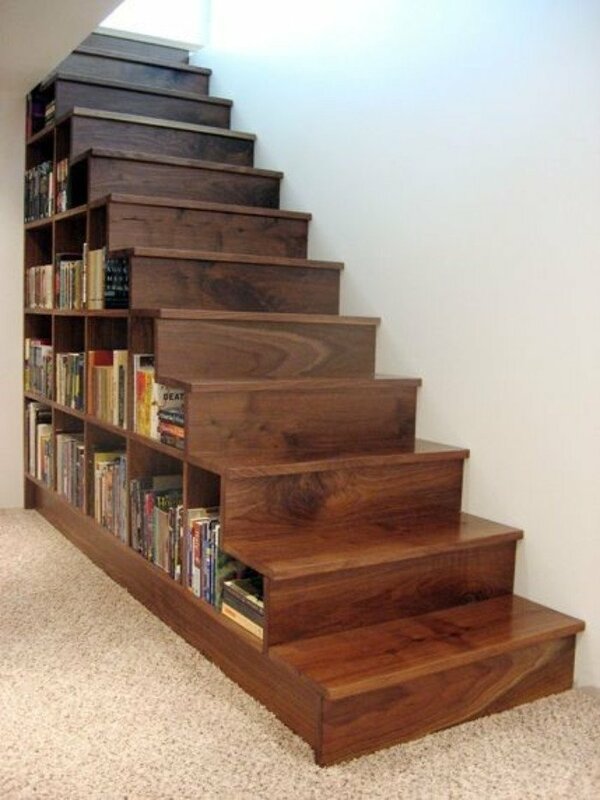 Make this area useful by installing some planks and making a customised sort of DVD storage unit. 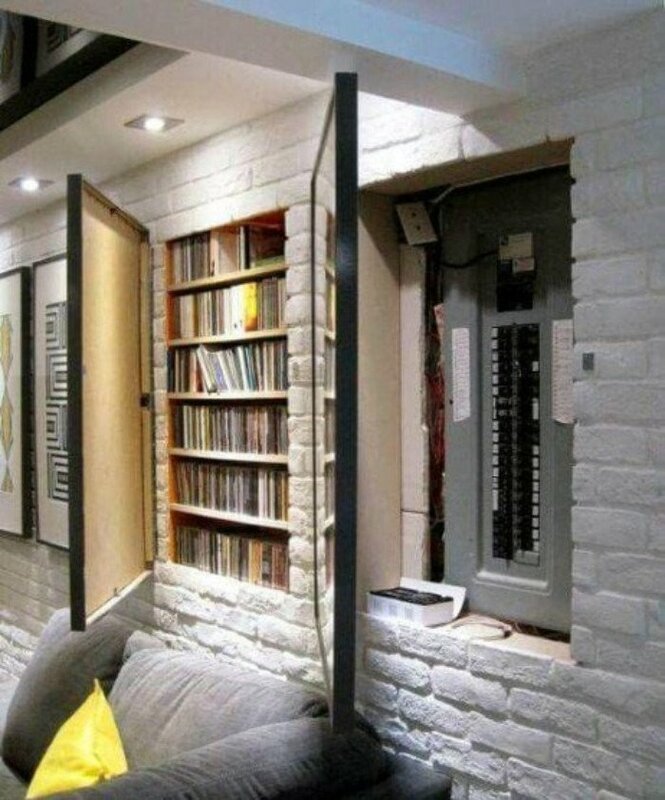 You can also hide the DVDs by covering them with a door. 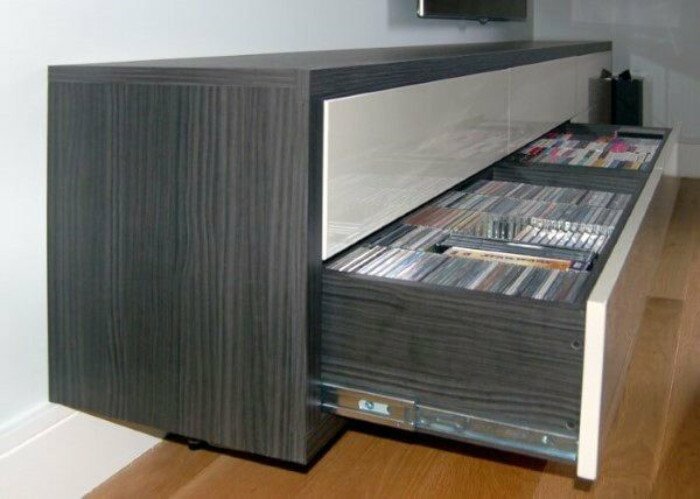 Keep your DVDs stored and hidden in plain sight by having a vertical pull out drawer in your TV unit. Moreover, the drawer should have shelves in which you can place all your DVDs. So, whenever you feel like watching a movie of your choice it’s right there in front of you. 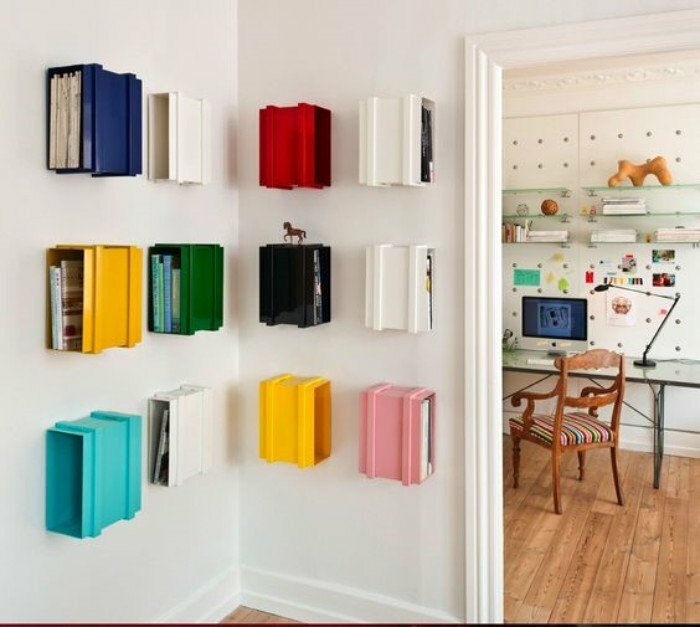 Install colourful and unique boxes on your study or living room’s wall and keep your DVDs stored in them. This will add pizzazz to the place too while keeping your DVDs hidden inside. Buy solid oak furniture online from the best sellers at Furniture Villa. We deal in the best quality DVD units and racks that have durability and class combined. So, bring the comfort and style that your home needs from one of the best online furniture stores.